I’ve never seen anything that has a greater return on investment than this financial literacy class, provided to Washoe County high schools through generous local donors, organized by The Hayek Group. The program uses Dave Ramsey’s Foundations in Personal Finance curriculum that, thanks to The Hayek Group’s diligent efforts, has already been taught to over 3,000 local high school students. Our community is coming together to invest in itself and our kids, which will yield exponential benefits for years to come. At present, the program is funded by private donations and costs about $30 per student. The Dave Ramsey Group has offered our community a special deal. If we can raise $159,000 by October 31st, we can educate every high school student in Washoe County (and some rural schools) for as little as $4.54 per student. This one-time cost will serve our students for the next 7 years. 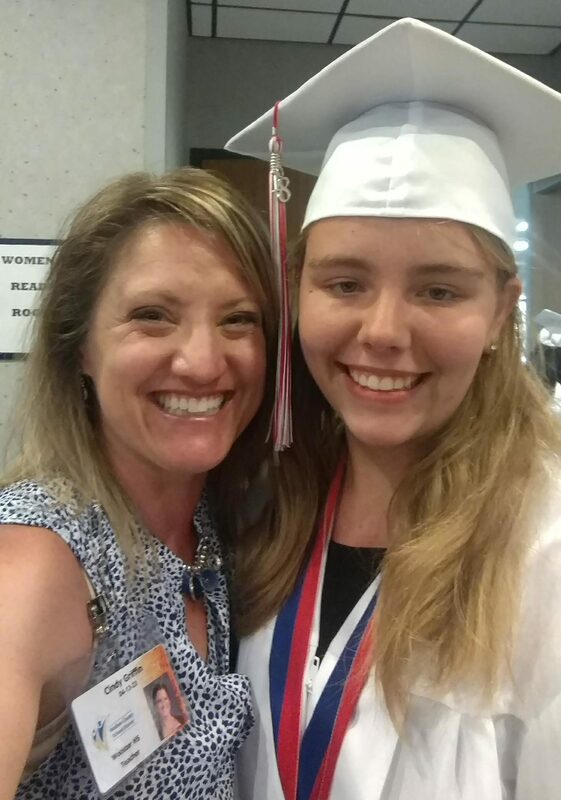 Wooster High teacher Cindy Griffin (pictured here with graduating student Ciara Lewis) teaches financial literacy to her senior class. The Hayek Group has already raised the majority of the funds, but we need to close the gap with the deadline fast approaching. Investing $4.54 to teach kids financial literacy will not only affect their entire lives in a positive way, but also directly affect their families and our own community. That is one hell of a return on investment. At Hughes Private Capital, I am not sure we could do anything that would have more of an impact. We want to challenge our investors, lenders, friends, and readership to double our donation of $10,000 to $20,000. Whether you can contribute $5 or $5,000, it all helps. If we surpass this goal, the money can be put towards getting these financial literacy classes in middle schools. This program has already dramatically changed the lives of our high school students. I recently had the privilege to speak with Cindy Griffin, a government teacher at Wooster High School, who currently teaches this course to students. It’s amazing how powerful this education is. Cindy told me about a senior student named Victor, who moved out of his parents’ house because they kept taking his wages. Because he was equipped with the right knowledge, Victor was able to save money, open a bank account, and quickly get on his own two feet. Not long after graduating, he found gainful employment at International Game Technology (IGT). Cindy says that Victor credits his success to what he learned at Wooster through this curriculum. Now, Victor shares what he knows with his parents so they can improve their financial health. Can you beat that? Cindy first learned of the Dave Ramsey curriculum several years ago via Fox Business. She found the program helpful for her own family – Cindy and her husband have five children, four of whom were teenagers at the time, and they wanted to get out of $140,000 of non-mortgage debt, which they were able to do in four years based on Ramsey’s teachings. Many people assume that this is information passed on from parents to children, but kids whose parents aren’t financially savvy miss out on the basics. “It really weighed on my heart that someone needed to step up to the plate because there really was absolutely nothing about personal finance in our high schools,” Cindy says. She knew her own children were not learning anything like this in their classes. Cindy decided to move from teaching elementary school to high school, so she could help get this curriculum to as many kids as possible. In her high school classroom, Cindy holds “Finance Fridays” to help share this information with students. The turnout is always huge, drawing high attendance from students and even staff members at Wooster. The world certainly needs more “Cindys”! At Hughes Private Capital, we believe that financial literacy is not a one-time achievement – it’s a lifelong process that, ideally, begins in childhood. I’ve written extensively about how I’ve fostered financial literacy with my own four kids. Unfortunately, not every child is given a chance to start off on the right foot. The importance of learning financial responsibility from a young age cannot be overstated. Empowering children with this knowledge can help them make smarter decisions that will set them up for life. On top of that, there is a ripple effect. When more people are financially literate, they help their family and friends become better with money, which in turn affects the entire community. The Hayek Group is the best group to spearhead this project. For those unfamiliar with their work, The Hayek Group is a local non-profit focused on facilitating financial literacy for kids and teens. I recently spoke with Mark Pingle, secretary for The Hayek Group and an economics professor at UNR. According to Mark, The Hayek Group has raised around $100,000 over the past two years, which has put Ramsey’s course into 19 Washoe County schools across Northern Nevada. The trajectory is pretty exciting. “By 2020, every high school in Washoe County will have to, as part of their senior year government class, spend a whole year on financial literacy,” Mark told me. “They also have to include economics.” The Dave Ramsey program would be used in conjunction with the curriculum already planned for the high school. This will give students a good overview of how to manage their personal finances and navigate the economy once they are finished with school. The Washoe County School District is ready and eager to make this a more substantial part of the curriculum. Once the funding goal is met, they will train their teachers to extend the curriculum to schools where it has not yet been implemented. This cause means a lot to my team and me. Financial literacy is the backbone of my life’s work and I want to see future generations know much more about money than we ever did. We hope you’ll join us on this mission. Hughes Private Capital will match donations, dollar for dollar, up to $10,000.